Blow Me First (BMF) is not just an outlandish and provocative statement. It stands for an innovative vision and approach to the excessive drinking culture that has been a mainstay of Australian society for generations. Some years ago when the alcohol-fuelled violence, binge drinking and car accidents in Victoria were making all the headlines for all the wrong reasons, Noah and BMF co-founder Dave were chatting about an effective people-centred intervention, that could change this culture and decision making amongst young people. 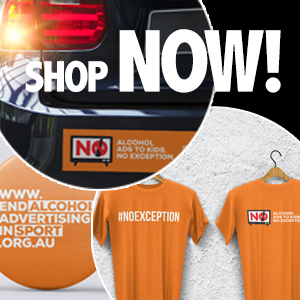 Our solution is simple, we turn up to venues and events in our fluorescent BMF uniforms and talk to young people about their drinking levels, encourage them to take a breath test to improve their awareness of their Blood Alcohol Content (BAC); and to consider safe transport options to get home at the end of the night. What’s the reaction when we come into nightclubs? The results are surprising. Most people approach us first, they ask us what we are all about and why we carry breath-testing equipment. We tell them firstly that we are not the police (and we don’t work for them either) which normally helps patrons relax into the conversation! We explain that we are hired by each venue individually, to help them ensure the safety of their patrons. Most people are curious at the opportunity to have a breath-test that isn’t aimed at getting them into trouble with the police. Interestingly, most people jump at the chance to find out their blood alcohol levels. This will often evolve into some group banter between BMF staff and patrons about the mis-match between people’s expectations of drunkenness and the actual effects of drinking on each individual. We find that most people cannot accurately estimate how alcohol effected they actually are, which is why we are in a great position to encourage them to behave safely and avoid driving home. A test takes only about a minute, which is a perfect amount of time to have a chat about safe drinking habits and we also take the opportunity to hand out some information cards that can help people accurately estimate how many drinks it takes to reach certain blood alcohol levels. We will also provide patrons with easy to follow details on public transport and taxi options to get home. Sometimes people like to make bets on what their blood alcohol content will be and sometimes people just want a photo with our staff. Our staff are happy to oblige and be part of the fun. Our aim is not to interfere with the event or venue operation, we are merely there to ensure that people are drinking safely and providing an easy and positive means to do so. We take our responsibility seriously and as such provide comprehensive alcohol training and education to all our staff, through the drug and alcohol education company Alcocups. Our staff are also trained to use the highest quality breath testing equipment to ensure accurate BAC readings are provided to drinkers. We are currently providing around 400 breath tests per week, operating primarily in the Melbourne CBD and South Yarra and are fast expanding to sign up more venues and events every week. Pubs and clubs are keen to work with us because they know we are there to promote a positive social message and to ensure patron’s safety and wellbeing. I was a little taken aback when it was first explained to me what BMF stands for and then I met Noah and I quick saw his passion and concern to help young people. Well done and keep up the good work.